Great Success of Workers' Rally against Nuclear Power Plants, Aug. 12: Let's Put Labor Unions in the Center of the Struggle! As the Japanese government and Prime Minister NODA Yoshihiro continue to ignore the public opinion against nuclear energy, the weekly protest at prime minister’s office in Tokyo is growing larger and people’s voices are becoming louder.On July 29, thousands of people gathered as usual in Kasumigaseki, Tokyo, where the ministries are concentrated. 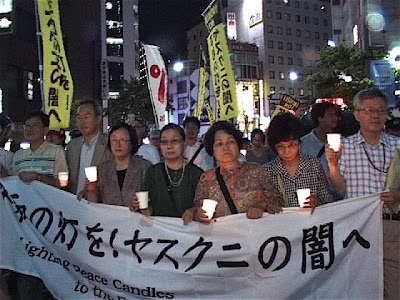 Candles and flashlights in hand, demonstrators of all age range surrounded the Diet building in the evening as they shouted protest slogans to stop resuming nuclear plants. The police could not stop families, labor unions and other protestors flooding onto the streets (See photo). 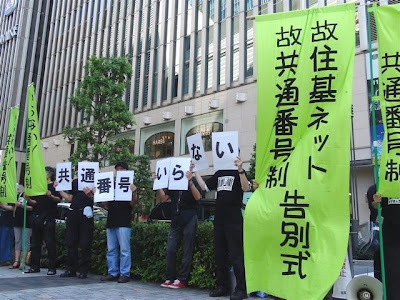 In the meantime, the weekly protest at prime minister’s office that usually calls against plants resumption turned into an action against appointment of new nuclear regulatory commission. 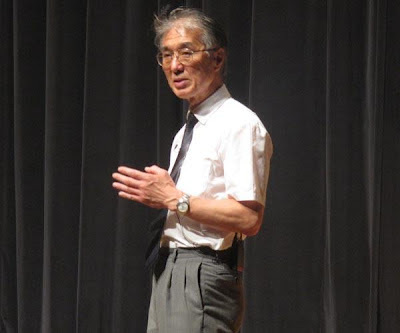 The announcement of the committee chief, TANAKA Shunichi, showed that the Japanese government has not learned a lesson since the Fukushima disaster. 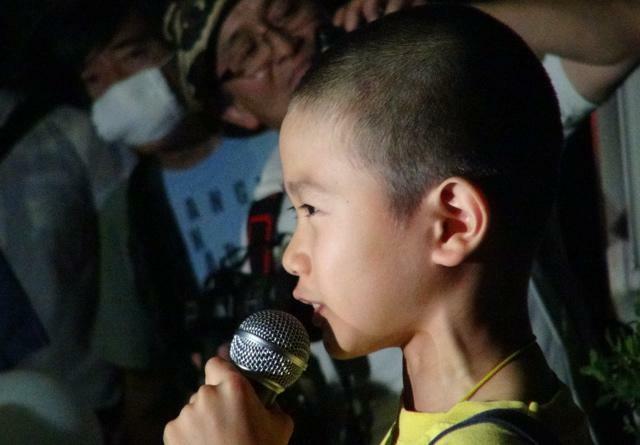 Tanaka, known to be one of the “nuclear village” members, is one who voiced his opinion against compensating for those who evacuated on their own will. The public was also questioning the legitimacy of the committee since it should have been established before the government approved of the restart of Oi Plant. 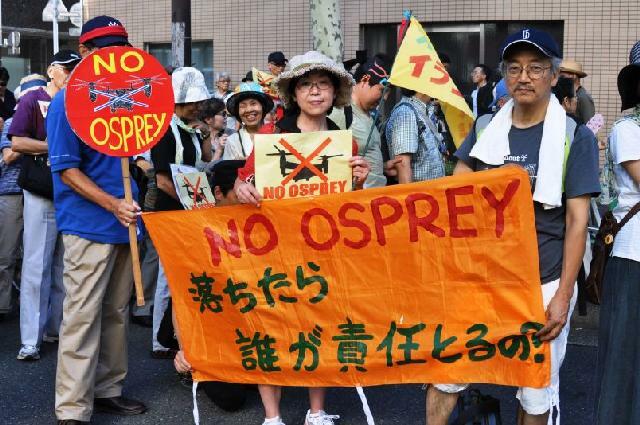 Representing some 2,800 people who gathered for the action, members of four civil organizations submitted a demand to the Cabinet Office. “Decommission Noda Cabinet,” as one of the signs read, shows how Japanese citizens have long renounced Prime Minister Noda. 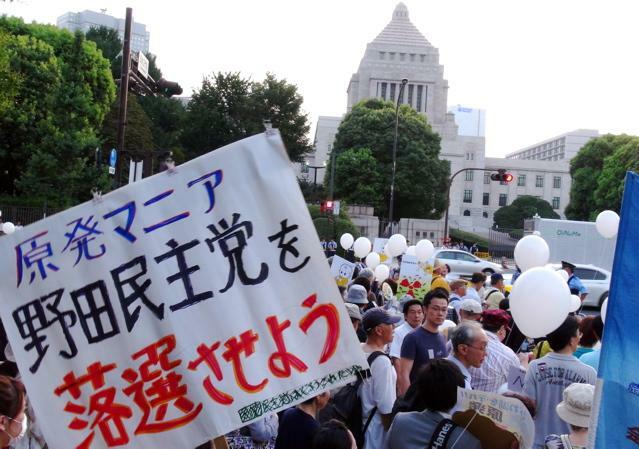 Another action at prime minister’s office began in the evening of July 18. This time protesters are voicing their opposition against revision of Japan’s Public Assistance Act. 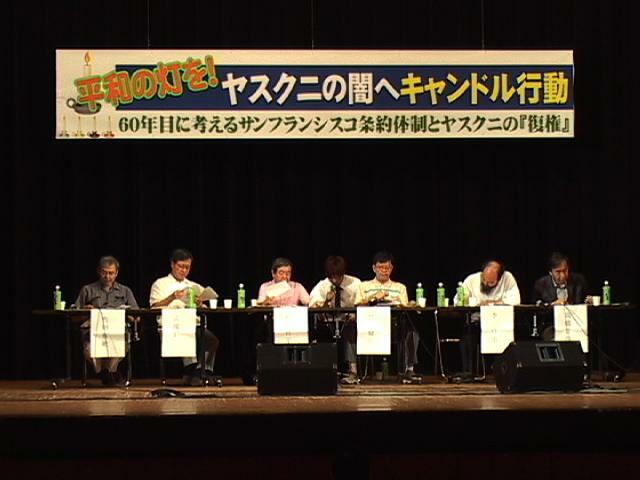 Representative of Anti-Poverty Network, UTSUNOMIYA Kenji, pointed out that the people who are eligible for public assistance are not granted the service because of the government’s suppression to reduce the public spending. 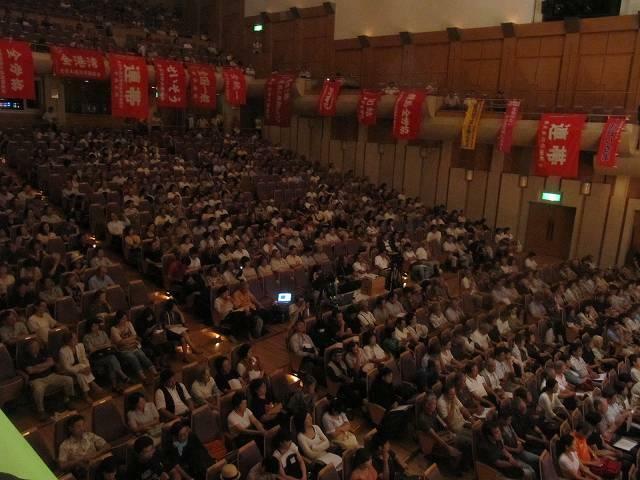 Only 30% of the people who should be on welfare receive the allowance in Japan, he said. Only 1.7% of Japan’s population is on welfare, compared to 9.7% in Germany and 9.3% in the UK. 1. I plan to resign, but my colleague tells me that he was not able to exhaust his paid holidays before he resigned. 2. I landed this job as a trial hire. My contract says I get two days off a week, but I can only get Sunday. I also have to put in overtime every day and have no paid holidays. 3. I only get one or two days off a month. I can’t even go see a doctor even if I don’t feel right. I don’t have paid holidays either. I wish I could take at least four days a month. 4. I had a contract that offered two days off a week when I got this job, but I only get two days off out of two weeks, six days off out of four weeks. My boss tells me to take paid holidays if I wanted more days off. Japan and U.S. governments forced deployment of Ospreys in Iwakuni Base, Yamaguchi Prefecture, on July 23, despite rising protest across Japan. Prime Minister Yoshihiro Noda gave priority to low-level flight training rather than protecting citizens’ lives. 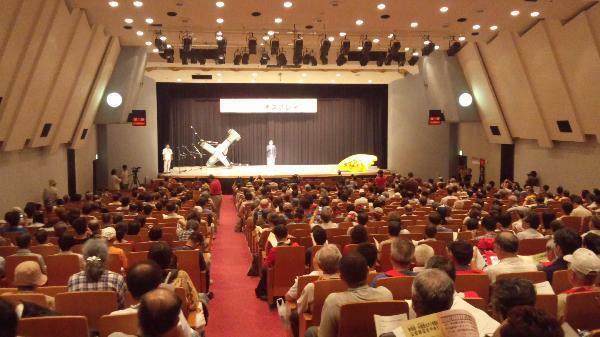 More than 500 people gathered in Iwakuni, while people also carried out actions in Tokyo and Okinawa.